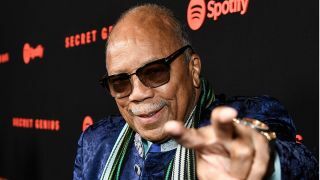 MusicRadar's best of 2018: Quincy Jones has taken aim at the current generation of producers, labelling them “lazy and greedy”. In a wide-ranging and incredibly frank interview, Jones also called Michael Jackson “as Machiavellian as they come,” said that his first impression of the Beatles was that they were “the worst musicians in the world,” and suggested that U2 are no longer making good music because there’s too much pressure on them. When asked who impresses him at the moment, he praised Bruno Mars, Chance The Rapper, Kendrick Lamar, Ed Sheeran and Sam Smith. He also named Mark Ronson as someone who “knows how to produce”. Jones, who will be 85 next month, is currently promoting a new Netflix documentary and CBS special.